Fear of risk deters companies, institutions and communities from pursuing microgrids. 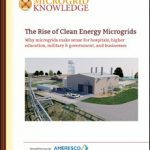 In this excerpt from a new special report from Microgrid Knowledge and Schneider Electric we examine how the EaaS model secures microgrid benefits without the inherent financial, developmental and ownership risk. It’s clear that microgrids need an ‘easy button,’ an approach that is as convenient — and risk-free — as buying electricity from a utility. 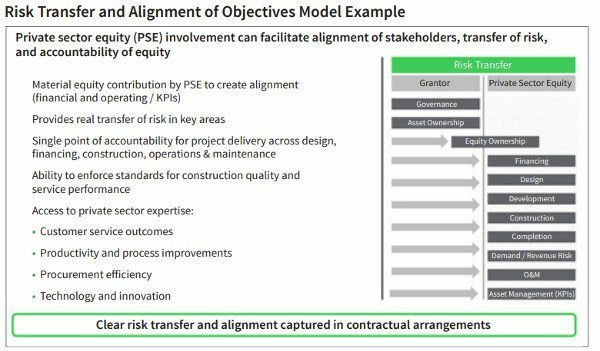 The two common mechanisms for microgrid development place risk on the host. Self-financed construction, ownership, and operation. The microgrid owner/operator benefits directly from any costs savings from the power produced, as well as any income from selling excess generation to the utility. But the owner also takes on all financial, development and ownership risk. Third-party construction, ownership, and operation of microgrid assets, which are leased to the host. The host controls power generation and accrues benefits but also must manage complex energy programs, such as utility demand response or sale of ancillary services to the grid. Both models put strain on the business, institution or community hosting the microgrid. To reduce this burden, the industry has created a third model—an opportunity to secure microgrid benefits by contracting for services rather than ‘buying’ an energy plant. This model is called energy-as-a-service (EaaS). EaaS removes the development and operational burden from the host. Instead, a team of industry specialists engineer, build, operate, and maintain the microgrid for the host under short- or long-term contracts. Each party benefits. The host gains reliable and resilient electricity at an agreed upon price. Should the electric grid fail, the host continues to receive power from the microgrid. The energy team, meanwhile, uses its expertise to leverage the microgrid’s output in wholesale markets, secure tax benefits, and capture other values from the project. An EaaS allows the host to secure microgrid benefits without the hassle or risk. As-a-service models are used across a range of industries from software to transportation. The approach holds appeal because it spares customers the budget strain of a large upfront capital expenditure and the intricacies of asset development and ownership. The model works particularly well for capital-intensive energy projects. Consider a company weighing investment in a microgrid. Budget constraints may make it hard for the business to justify the capital expense of the microgrid, particularly if cost recovery occurs over several years. EaaS converts what would have been a long-term capital expenditure into a short-term operational expense. So the project does not affect the company’s borrowing capability as would a large capital expense on its books. The approach also removes strain on the company’s operations with an outside expert providing portfolio advisory services. Energy management is not a core competency of most companies. Nor is it one easily brought in-house, given that regulatory and technological complexity that surrounds energy projects. Moreover, the company is likely accustomed to outsourcing its energy needs to utilities; an approach baked into business operations for over a century. EaaS gives the company an opportunity to reap these benefits without venturing beyond its area of expertise. Of course, a business can take on the risk of acting as a microgrid developer and owner. Some are emboldened to do so because they have installed back-up generators, solar panels or other relatively straight-forward energy equipment. They assume microgrid development is similar. However, microgrids are more complex to install and operate, especially those within a campus that incorporates multiple forms of generation acting in coordination with each other and the central electric grid. 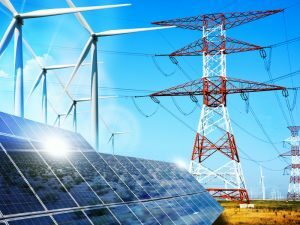 It is because of this complexity that microgrids can supply so many financial, environmental and efficiency benefits, but it is also this complexity that requires a team of experts for their development and operation. How exactly does an EaaS work? The next chapter explain the key elements of the agreement and the roles of participants. 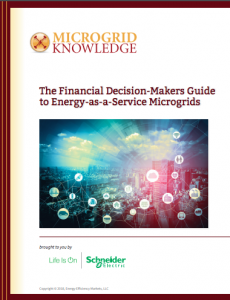 For more on Energy-as-a-Service Model microgrids, see the full special report, “The Financial Decision-Makers Guide to Energy-as-a-Service Microgrids,” courtesy of Schneider Electric, downloadable free of charge.